If you follow along on Instagram, you may have noticed a colourful trip to Palm Beach we recently took over the holidays. I'll be honest, I was completely blown away at the sights, eats and hotels in this area. 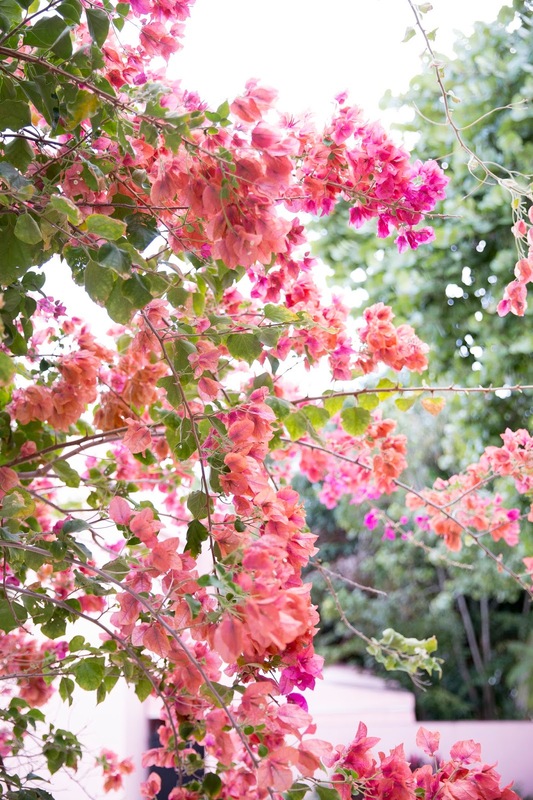 With colourful nooks at every turn and bougainvillea as far as the eye can see, it's certainly a city we'll be back to. I'm excited to share a visual diary of our favourite spots and our recommendation for your next visit! We actually managed to get a great deal on a 2 bedroom condo at the Marriott Ocean Pointe on Singer Island. We actually secured the property through Red Week (a great recommendation from my friend Candace). 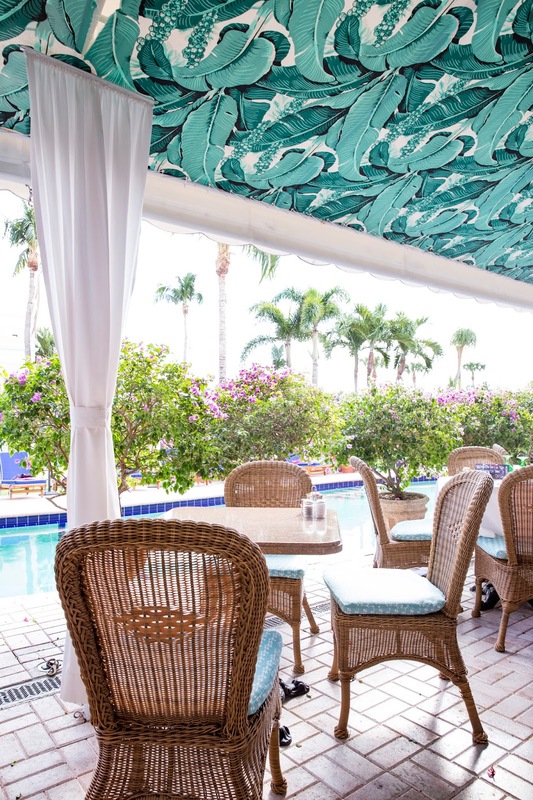 Singer Island certainly has a resort vibe to it (read: lots of families) so if you're aiming for the girls getaway or a couple's weekend away, I'd suggest staying in Palm Beach. 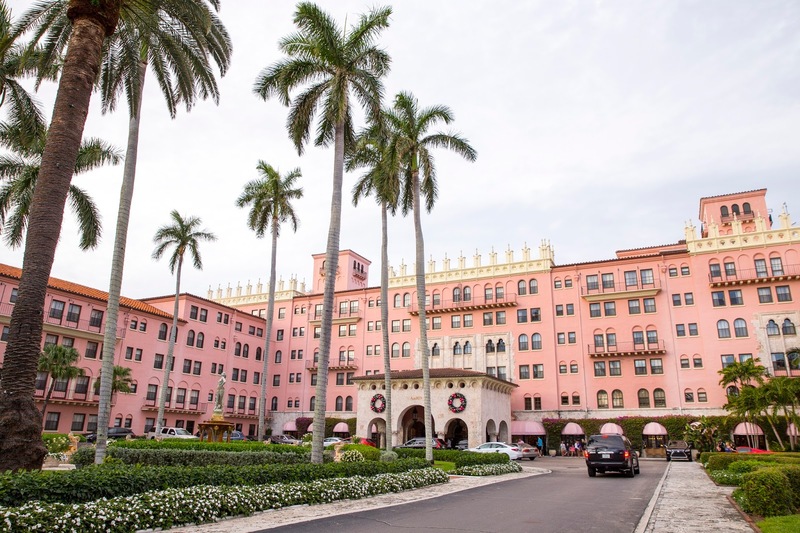 The Boca Raton Resort: This place is Florida's own Pink Palace. The architecture is insane and people watching is even better! 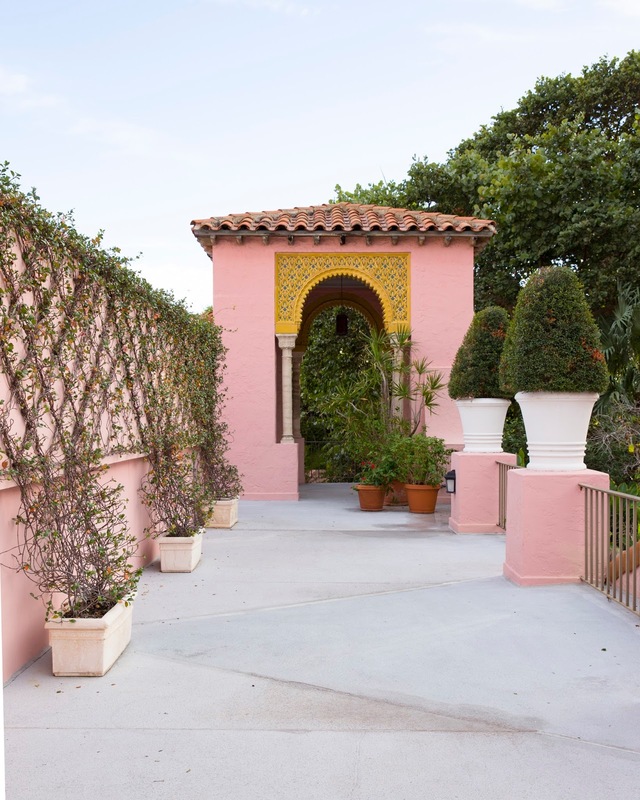 (Note: this is about a 45 minute drive from Palm Beach but just HAD to be on the list). 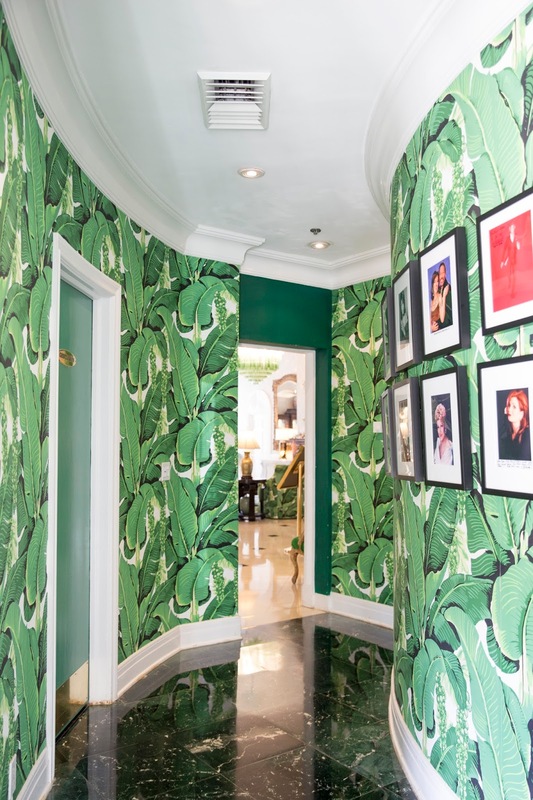 The Colony Palm Beach: Where palm print dreams are made of! 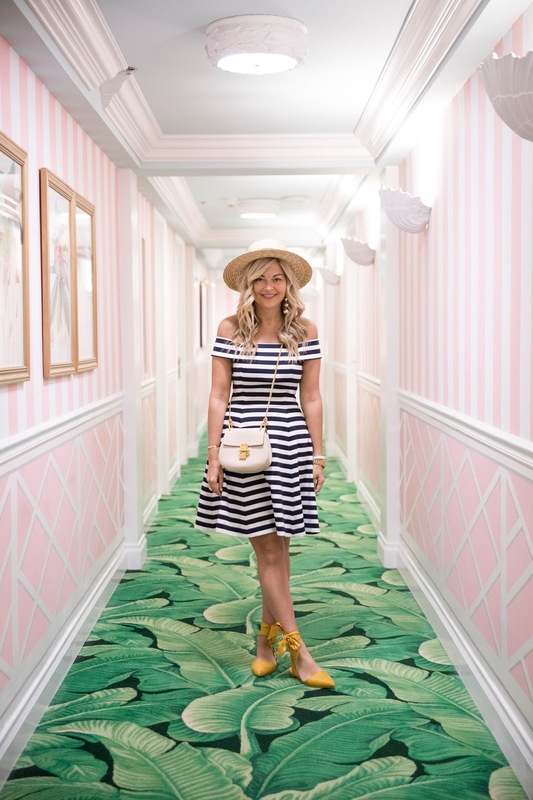 A visit to the hallways of this resort are a must-do! With each floor boasting pin stripes in candy colours - it's a colour story like no other. 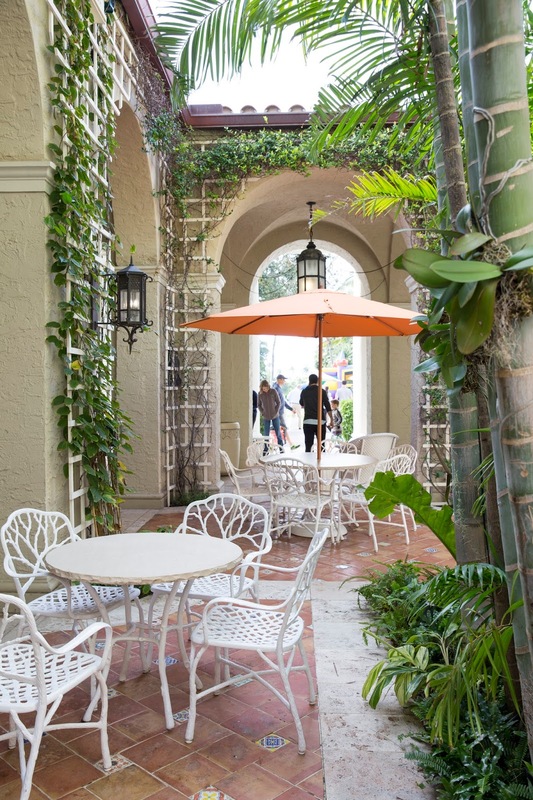 The Brazilian Court Hotel: Ultra chic and classy, the centre courtyard of this hotel is magical at night. With patio lights strung and white patio furniture placed amongst the grounds, it screams luxury. The Breakers Hotel: A must-do in the area, this hotel is a classic. Sweeping views of the ocean truly make a visit here - even if it's for cocktails - totally worth it! Worth Ave: A shopping day here is a must. 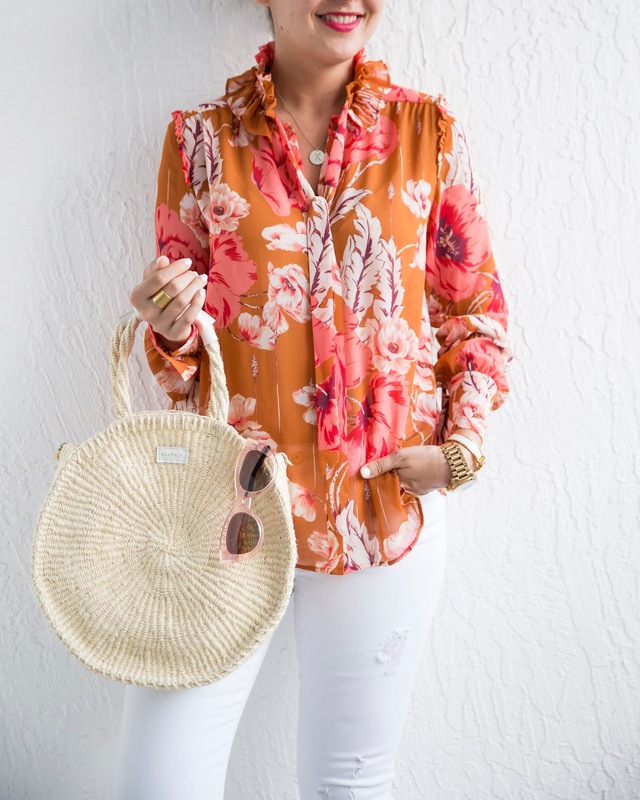 With fun boutiques like Figue, Babalu Palm Beach and CJ Laing alongside names like Chanel, Neiman Marcus and more - there's something for everyone. 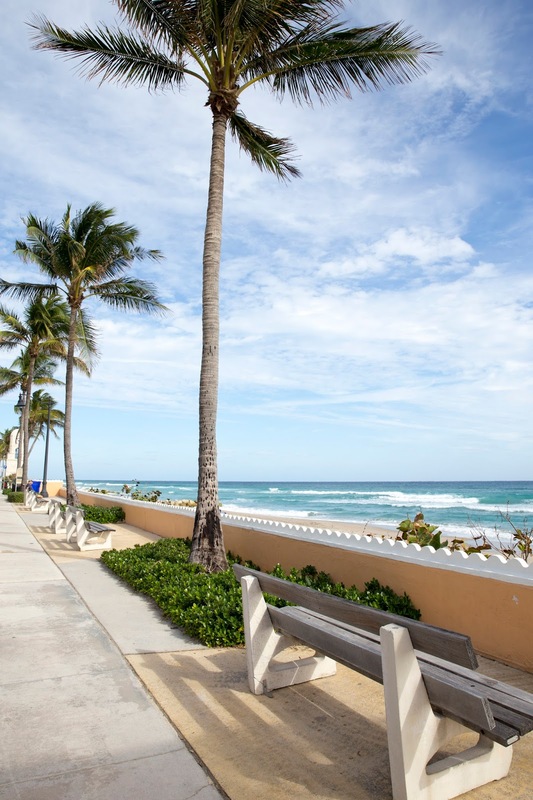 Ocean Ave: A stroll or a drive along this road is a must-do! 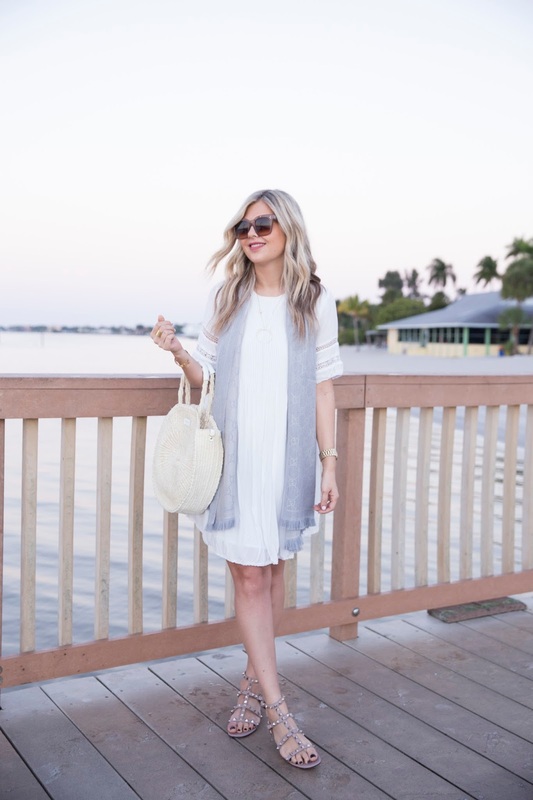 We took this all the way to Boca Raton one afternoon and the homes are enough to make you swoon. Clematis Street: This bustling street is a hot spot at night for fun restaurants, cute cafe's, ice cream and entertainment at night. Rocco's Tacos & Tequila Bar: Great tacos, margaritas and guac :) This was a find on Clematis Street and perfect for strolling around after dinner. Hullabaloo: Another Clematis St. find! An Italian gastropub with the most delicious drinks! Cafe Bouloud: The perfect spot for a pre-dinner cocktail or appetizer. The people watching here is the best part! Pizza Al Fresco: Enjoy pizza under the stars in the CUTEST restaurant dining al fresco - does it get any better? Buccan Sandwich Shop - The perfect pick-me-up for a quick lunch! Try the Buffalo Chicken sandwich! Sprinkles Ice Cream Shop - Voted the best Ice Cream in the USA. A tad pricey but the flavour was good! 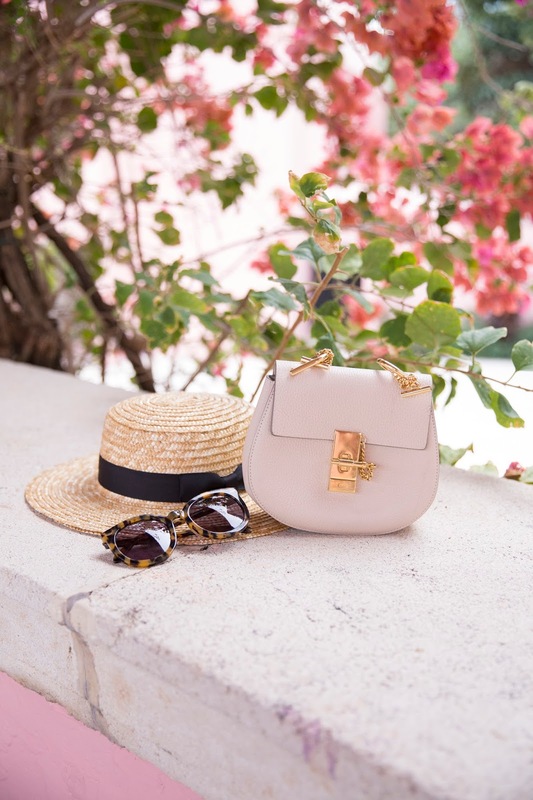 Must have: the beach hat! The flowers at The Boca Raton Resort are life changing! What an amazing burst of colour and print! 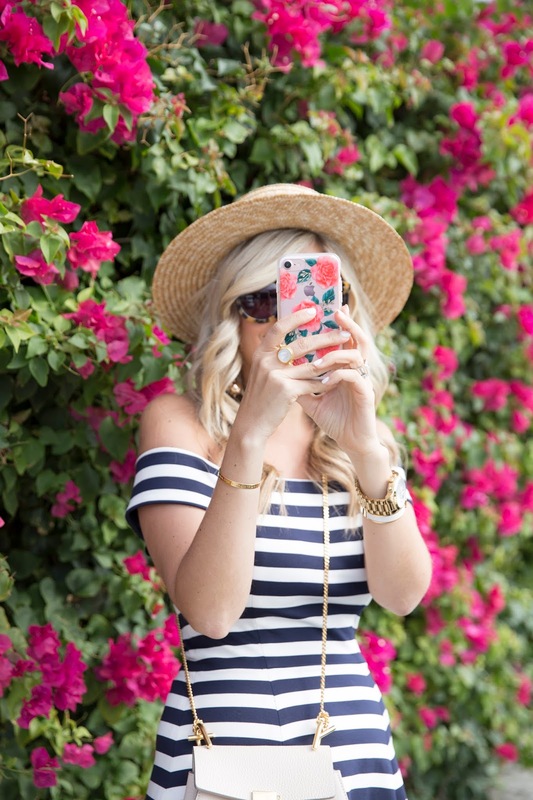 Your pictures are stunning and your outfits are fab, Krystin! Need to get here! Ah how I love a quick visit to Palm Beach. I lived in that area when I was in high school and college. Have been in Boston ever since but go back frequently. I do an annual stay at the Colony Hotel which as you've seen is beautiful. The decor reminds me of the Beverly Hills Hotel if you ever get out that way (though the service at the BHH is 5 star, the Colony not so much!). Palm Beach is seriously one of my favorite places! You captured it so perfectly! Happy Friday! Wonderful travel diary, thanks for sharing! You have to go here when you do your Disney trio!! This trip looks amazing and the colors are gorgeous. Love the outfits you wore and they compliment the place so well. 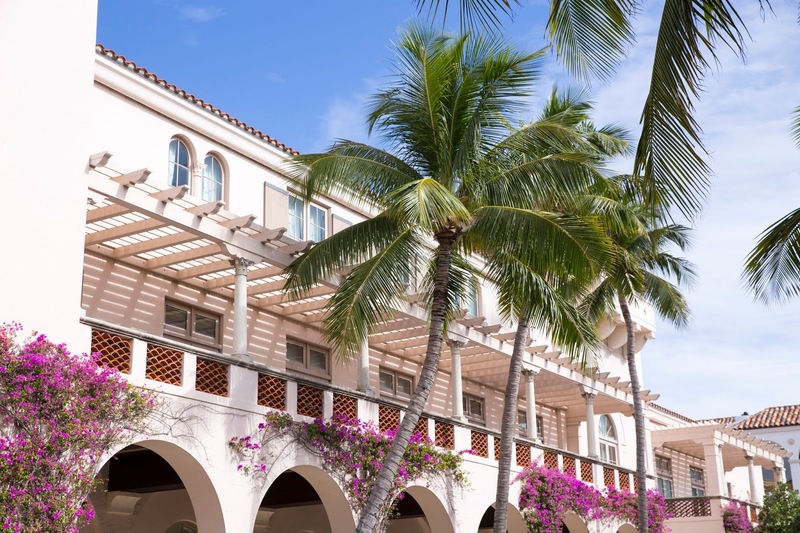 Dying to stay at The Colony Palm Beach ever since seeing that hallway photo you posted on Instagram! What girly interior dreams are made of! 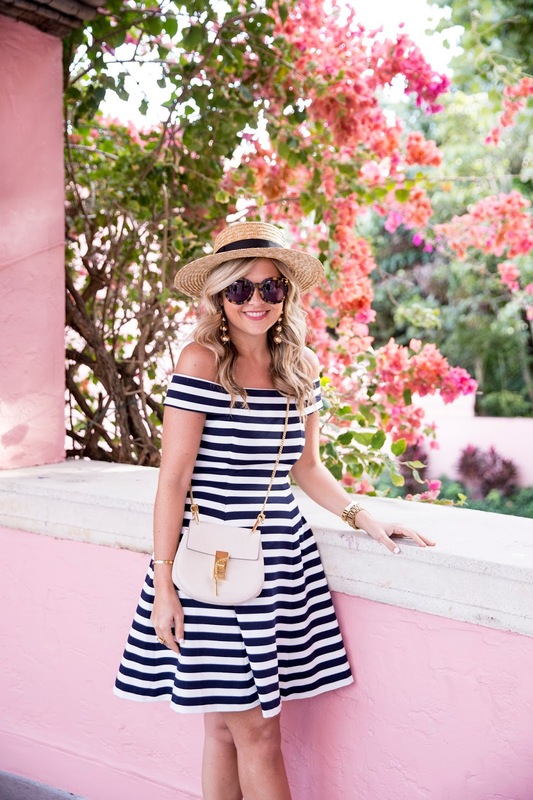 Love all of your looks, but especially the striped dress and the off-the-shoulder maxi.